Rolling Meadows Firefighters Local 3075 would like to welcome FF/PM Jason Wenzel to the RMFD. Jason comes to us with previous experience from Huntley FD and Carpentersville FD. Rolling Meadows Firefighters Local 3075 would like to welcome Firefighter/Paramedic Steve Zurek to the RMFD. Steve comes to us with experience from Mundelein FD. Open House at RMFD on Saturday! The Rolling Meadows Fire Dept is hosting an Open House on Saturday, Oct. 13th from 10am-2pm. Please come by to tour the station, check out the vehicles, see a sprinkler demonstration, and watch a car extrication! 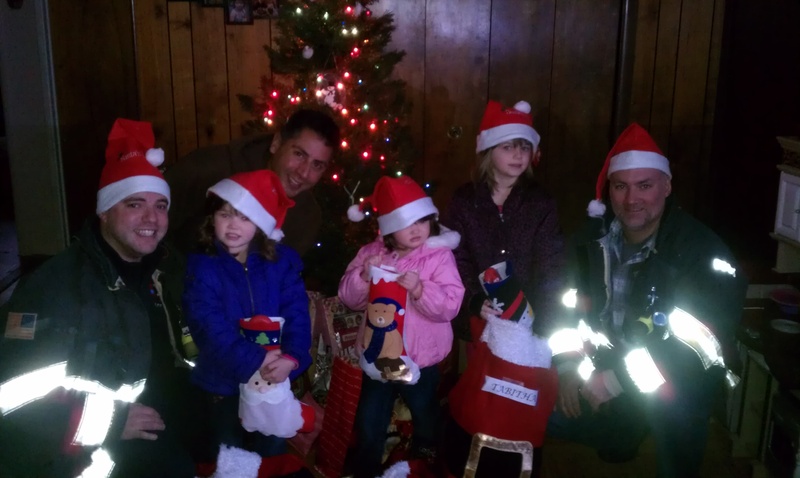 A needy family in Rolling Meadows received a much deserved Christmas gift. 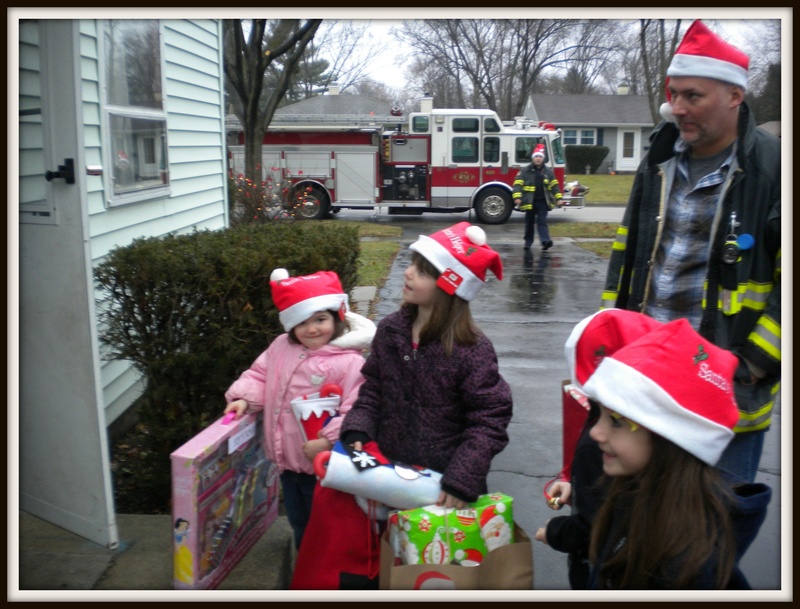 A single mother and her 3 children were greeted by off-duty Rolling Meadows Firefighters delivering Christmas gifts. 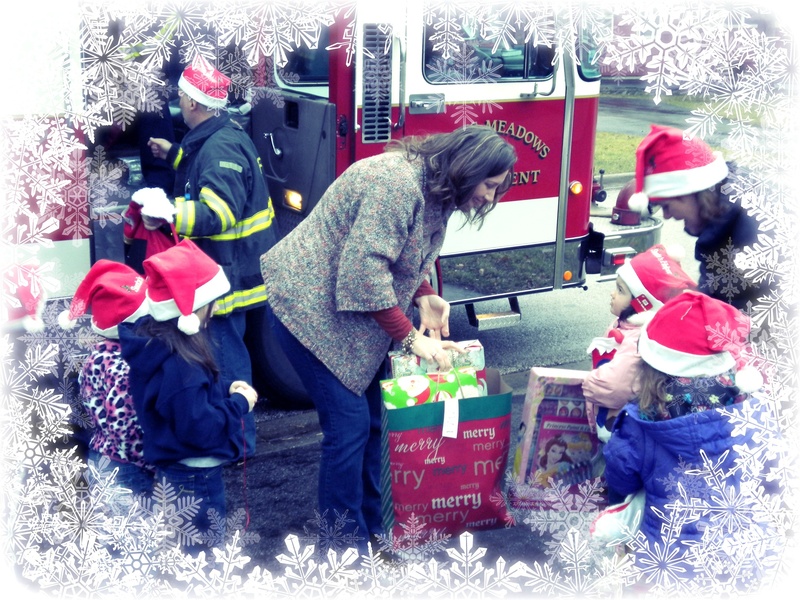 The presents consisted of clothes and toys for the kids, as well as gift cards for food and gasoline. This was all put together by the wife of Rolling Meadows Firefigher Lance Neuses. His wife Jeniffer had previously met the mother and discovered the family’s need. Jeniffer mobilized her friends and coworkers – and they put together an assortment of gifts to help the family through the holiday season. The delivery took place on Wednesday Dec. 21st at 9 am. As you can see – the kids were excited to play with their new toys…and the firemen were just as excited to be a part of this great day! Thanks to Lance and Jeniffer for organizing.